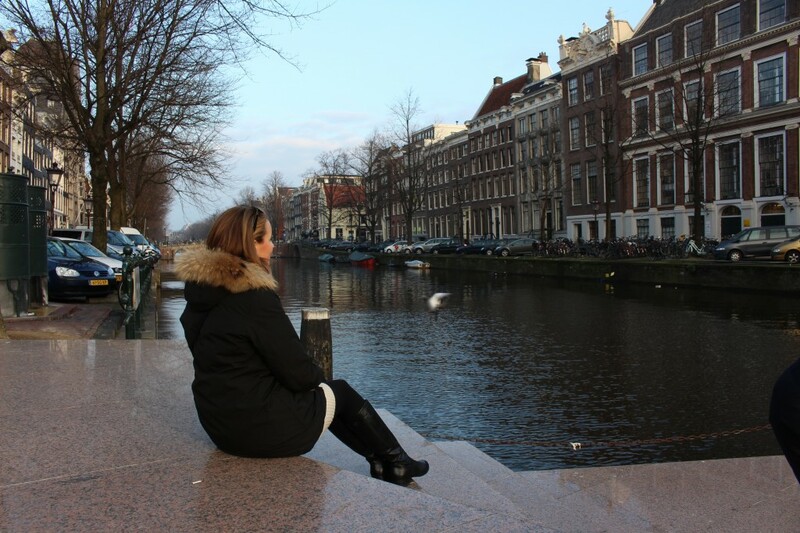 Things to see in Amsterdam! With just a handful of days before Christmas I recently woke up to a beautiful and sunny day (very rare this time of year) so decided to take a trip to North Holland and spend a day in Amsterdam! 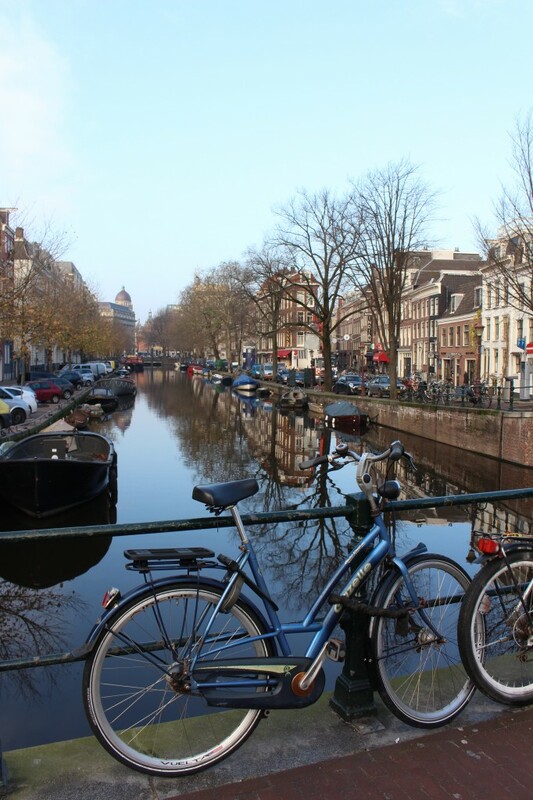 Amsterdam is the capital city of the Netherlands (Although it is not were the government can be found, they are situated in the Hague) and is usually the first city that comes to mind for people when discussing the Netherlands. 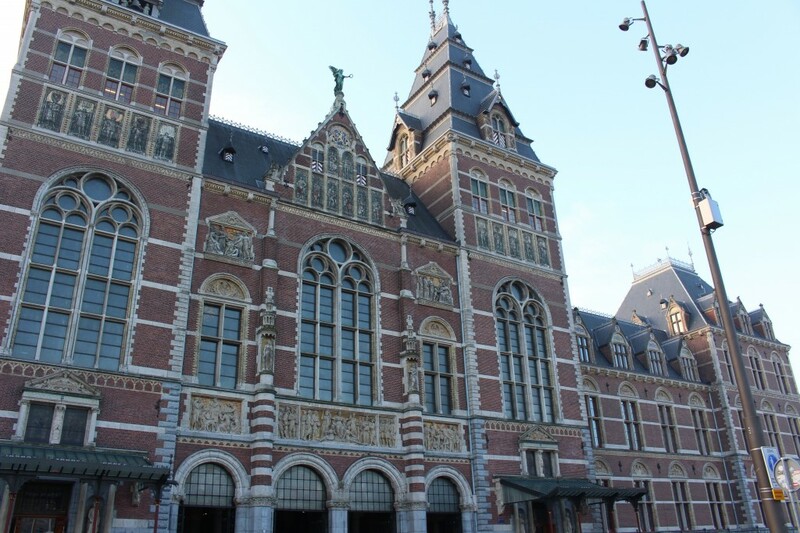 With a fast train, Amsterdam is approximately 45 minutes from Rotterdam Central station. A lot of people think of Amsterdam and either think of Canals, bicycles, the red light district… They are right those are parts of Amsterdam but the city has so much rich culture to share. I have been here several times but always get lost and today I plan to go through the city and actually see and appreciate it as well as finally find my way around. I started the day at one of my favorite areas in the city, which is Museumplein, you may already have guessed by the name that it is an area surrounded by museums and tourist attractions. 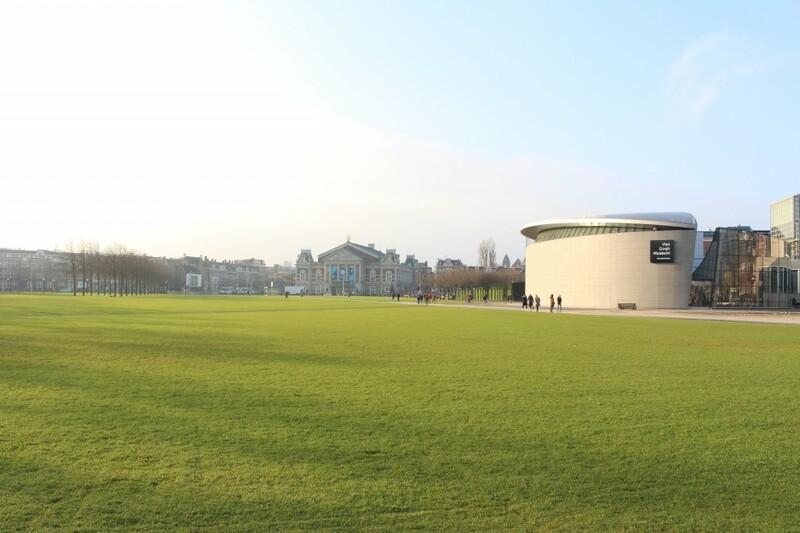 Not only is it the location of the Van Gogh museum but also the Stedelijk museum and additionally i the famous concert building. The concert building was named the “Royal” concert building by Queen Beatrix in 2013 due to it being one of the best concert halls in the world because of its acoustics. I have not been inside to see a concert, however it is on my list of things to do! 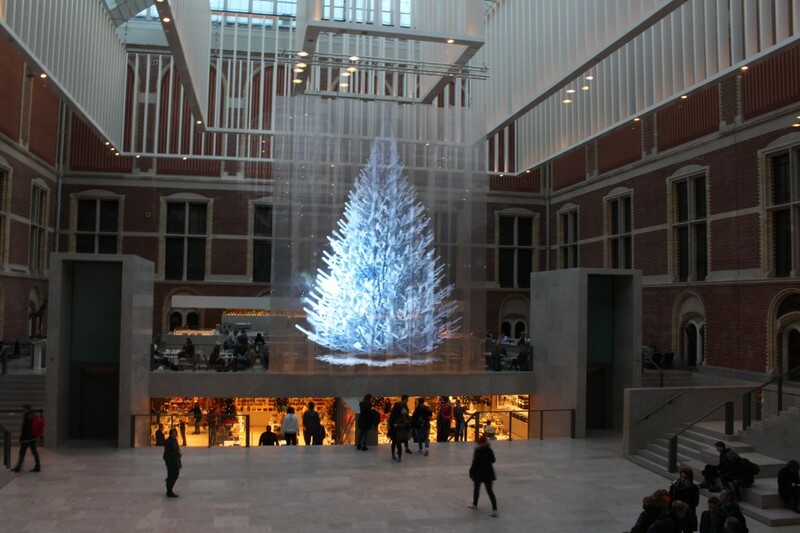 The Stedelijk museum is a modern and contemporary art museum that is open daily. If you love art this is definitely the area in Amsterdam for you to visit as you can find all types of art from modern to historic. Walking in the direction of the city center there was an ice rink! 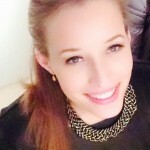 Unfortunately I am not a good ice skate otherwise I really recommend it! 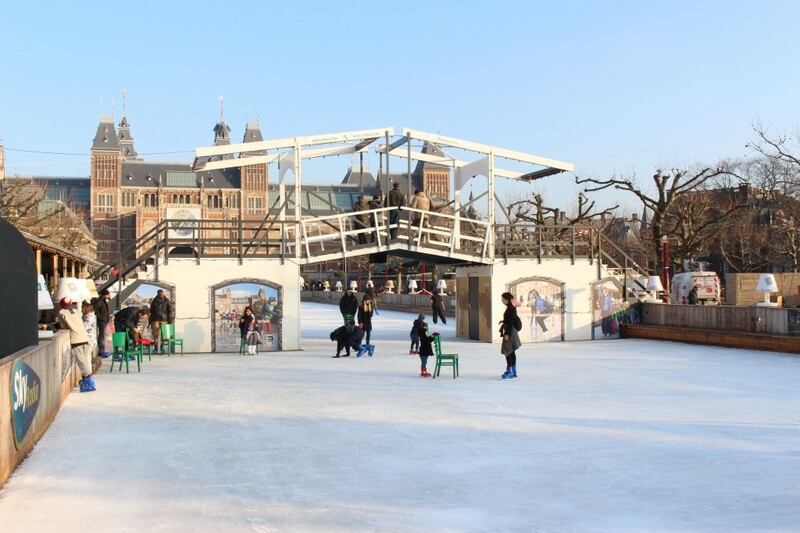 One of the most scenic places to go ice skating in the city! Just a few steps further I found myself at the I Amsterdam sign! This is one of the most photographed spots in the city and definitely a good souvenir to take away. 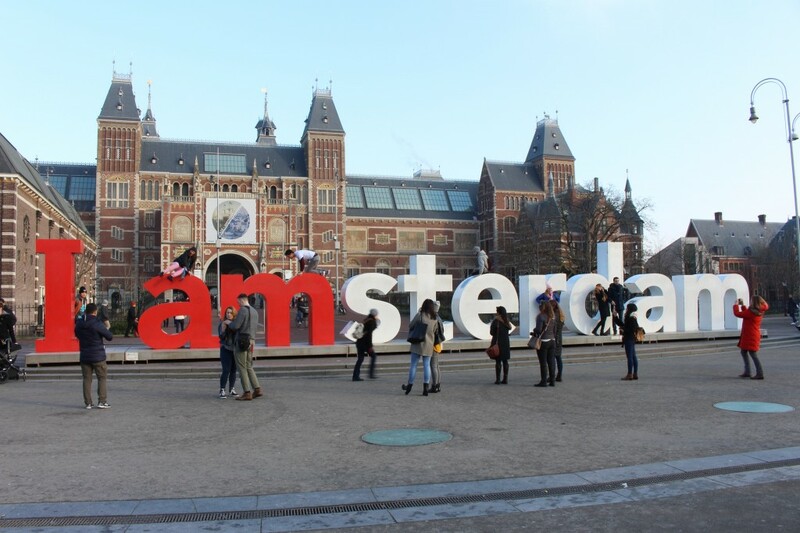 You might have noticed the building behind the I Amsterdam sign; it is one of my favorite museums in the country, the RijksMuseum. 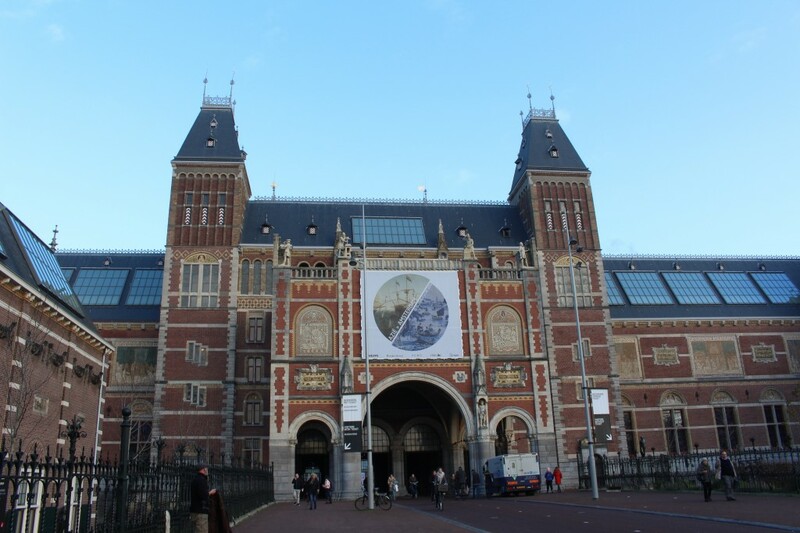 If you look closely the Rijksmuseum looks impeccable, the building is in perfect shape as the main building was recently reopened (in 2013) by Queen Beatrix after a 10 year renovation! The arts and history museum holds many treasures and was the most visited museum in the country these last two years. One of the most famous paintings it holds is De Nachtwacht or the Night Watch by Rembrandt. 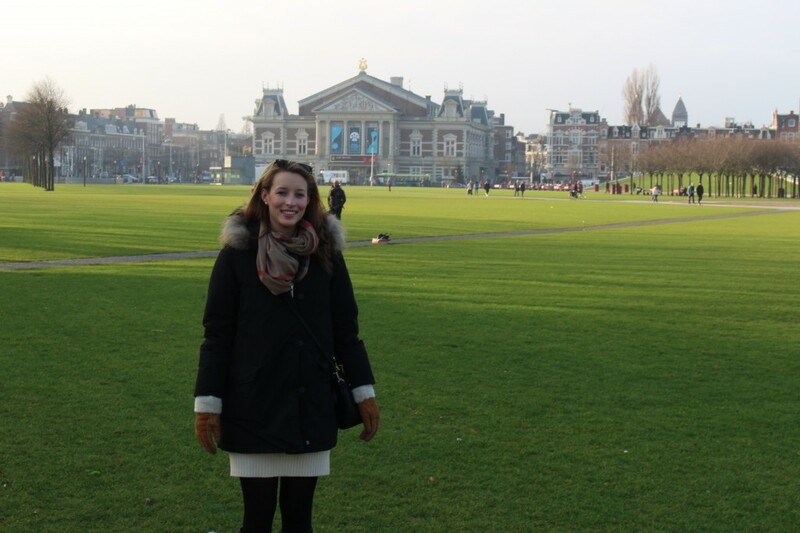 After enjoying some art at the Rijks Museum I continued walking north towards Dam Square. After crossing a canal which I can never help and take a picture of, I reached the Spiegel Gracht. This area is full or galleries and vintage shops! If you are a collector or looking for something unique, this would be a great place to start looking. After crossing some of the most recognized channels, the Prinsengracht, Keizergracht and the Herengracht and wondering about the shops I reached the Spui. 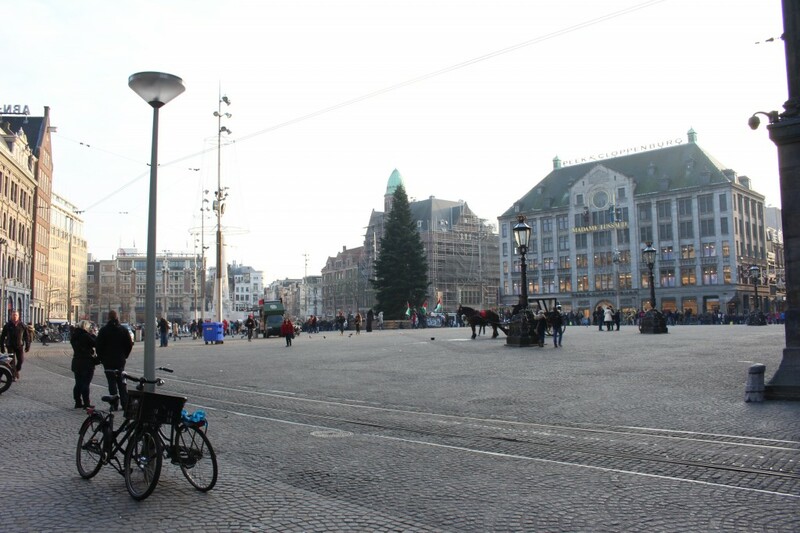 In the middle of the square there is a small statue called “het Lieverdje” or the “darling” and is meant to represent the spirit and livelihood of Amsterdam. I was ready for some lunch and decided to eat in one of the café’s surrounding the square in the picture above. 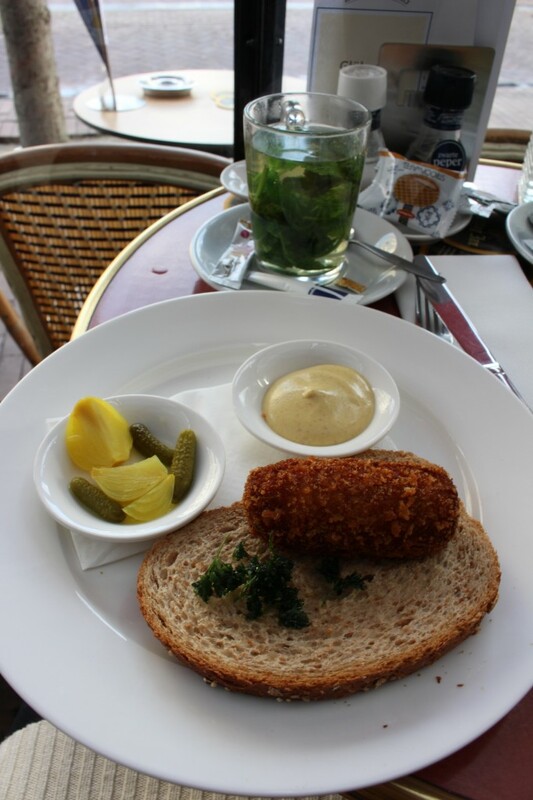 As I people watched I ordered a Kroket, one of my favorite Dutch foods ever! It is a breaded roll and you can have it either with fries or on bread and you eat it with mustard. If you get the opportunity make sure to try it but it has meat so if you are a vegetarian there are other options! After a great lunch I headed down the Kalverstraat, one of the busiest streets with many shops on either side towards Dam Square. After managing not to get distracted by all the shops I finally reached Dam Square. 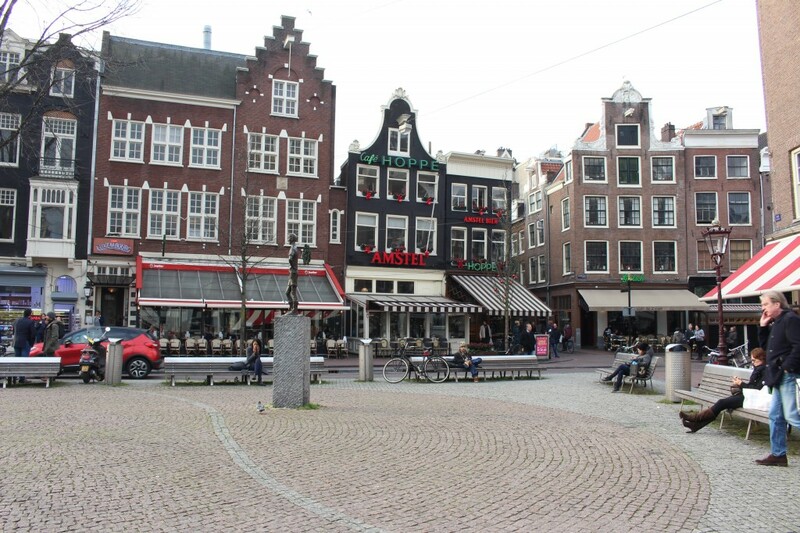 This is the most famous square in Amsterdam as it is the location of several important buildings. 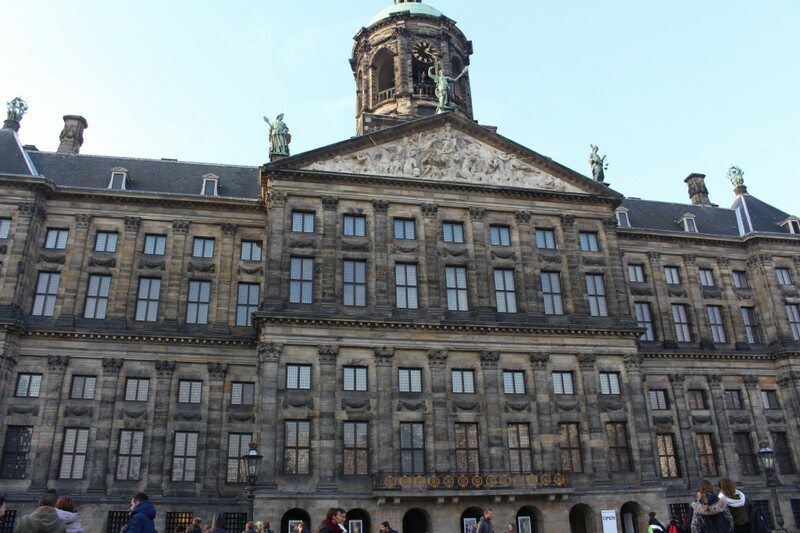 There is something to see and do for everyone at Dam Square. 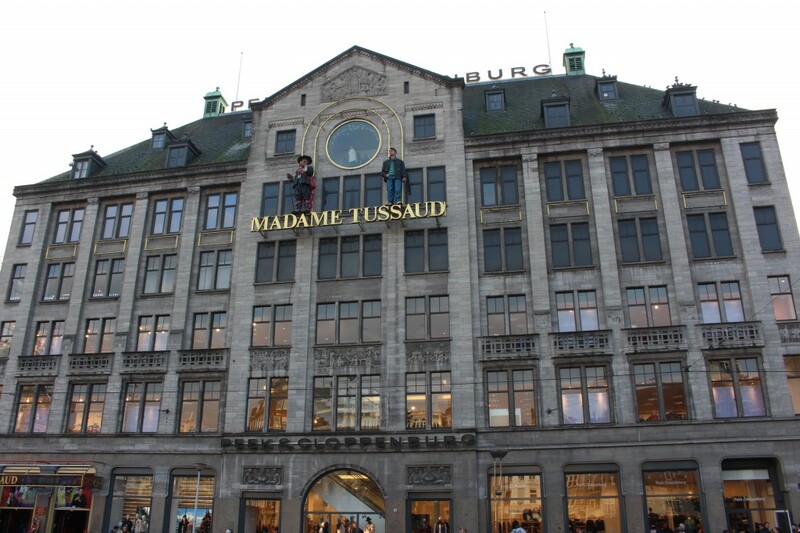 There is Madame Tussauds, a great place to take a family or visit with friends. The last time I visited Madame Tussauds I filled up my camera’s memory card and spent several hours inside. There is also free Wi-Fi which when travelling is a big plus! The Royal Palace is often seen on television when there is an event with the royal family. They are usually seen waving from the balcony (the last time I saw was at the Kings wedding a few years ago) that is actually not as far up as it looks on the television. The Royal palace was initially built as a town hall but is now available for the Royal family to use at their disposal. 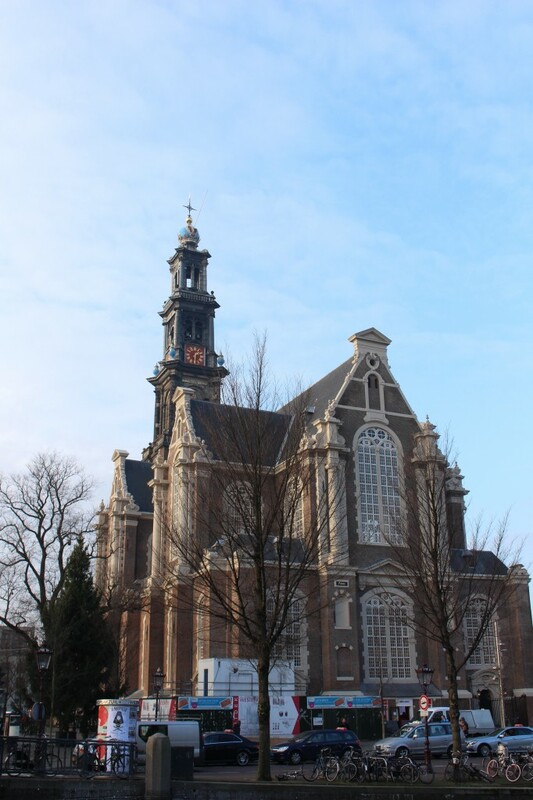 Next to the Palace is the NieuweKerk or “New Church”. 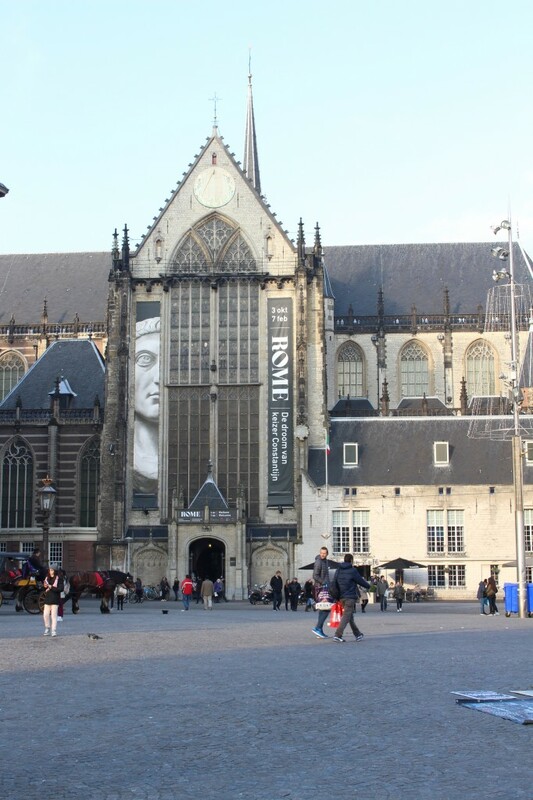 It is no longer used as a church but as exhibition space open to the public and is used on special events such as coronations and weddings (most recently the wedding of King Willem Alexander to Maxima). Additionally it is the burial ground for Dutch Naval heroes. 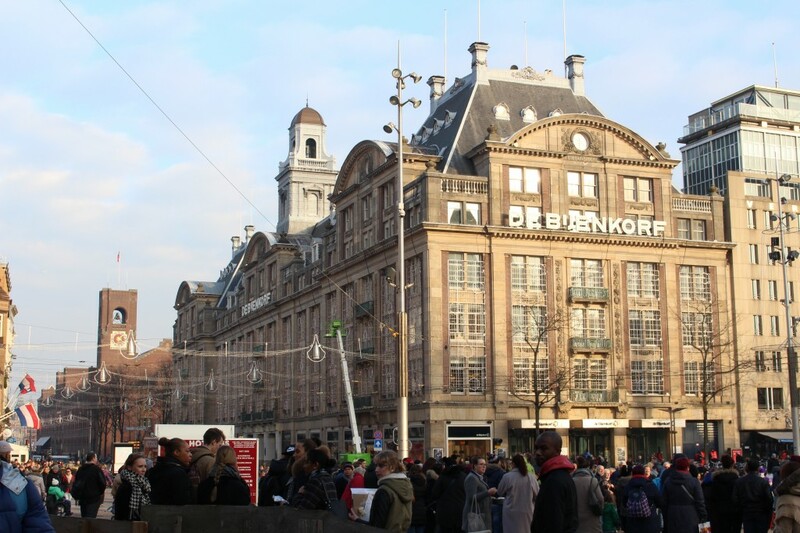 Also on Dam Square is the iconic department store of the Netherlands which is the Bijenkorf. 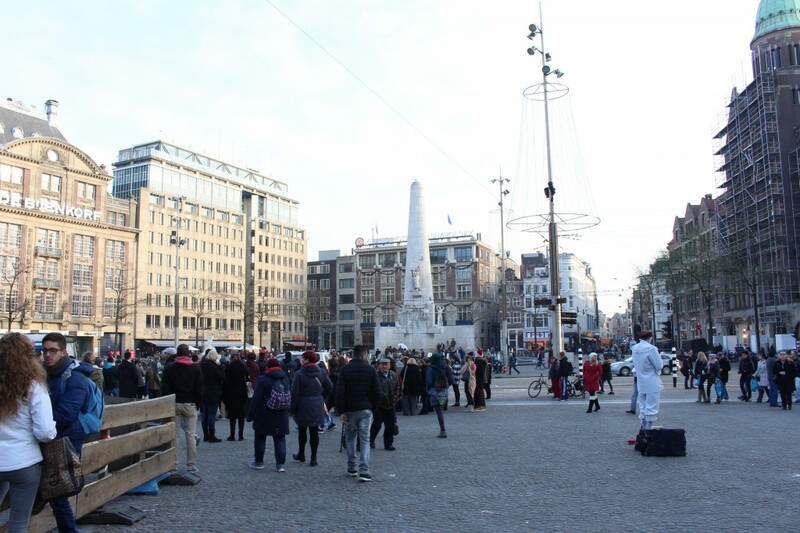 There is always something happening at Dam Square and I have been here when there have been Ferris wheels and all kinds of entertainment. Walking further on towards the Jordaan area I came across the Westerkerk. The protestant church was built from 1620 and 1631 and was one of the biggest in its time. It is open to the public most days of the week and still holds services on special events such as Christmas day. After all the walking I decided to sit down for a moment and simply enjoy the moment. 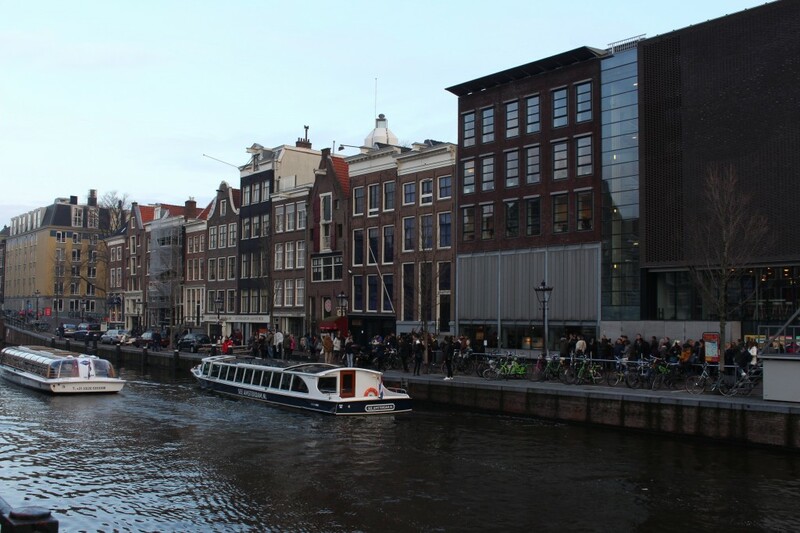 Many years ago I visited the Anne Frank house and I have always wanted to go back. You can easily recognize the Anne Frank house as it always has a queue of people waiting in line outside. Currently you cannot properly see the original house as it has been enclosed within another building to help preserve it. 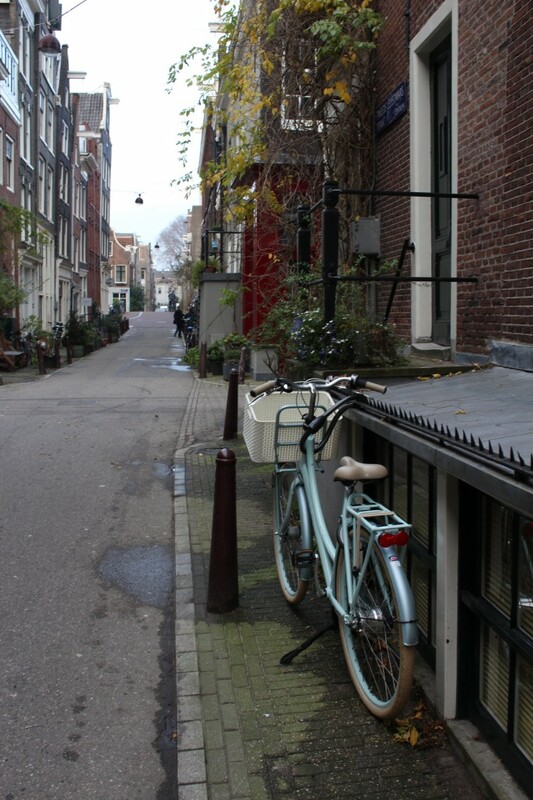 The Anne Frank house is located in the Jordaan area, which has small streets. After walking around the Jordaan I started heading back towards where I started and decided to take a short walk through one of Amsterdam’s parks, the Vondel Park. 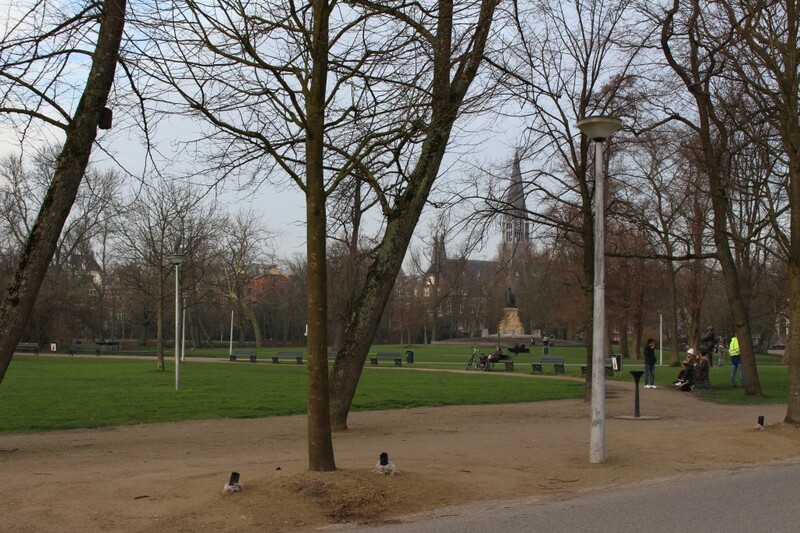 From the Vondel Park you can walk up Pieter CorneliszHooftStraat or street that is famously known as P.C. 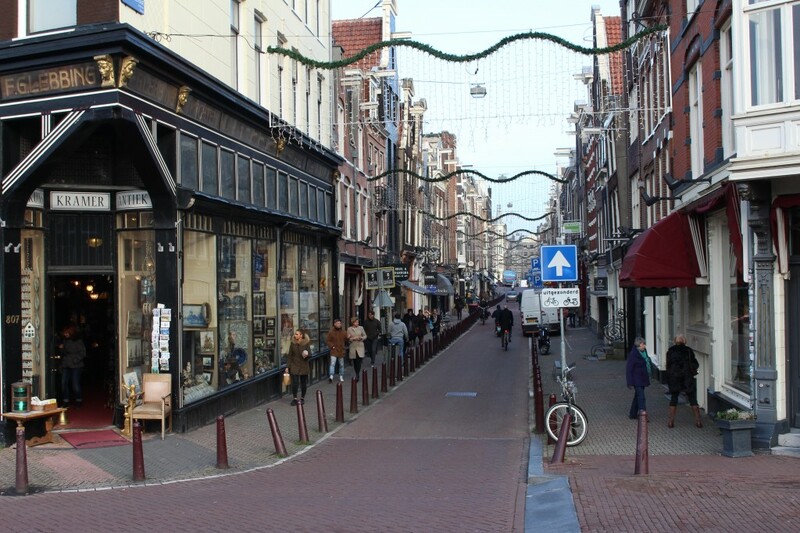 Hooftstraat. 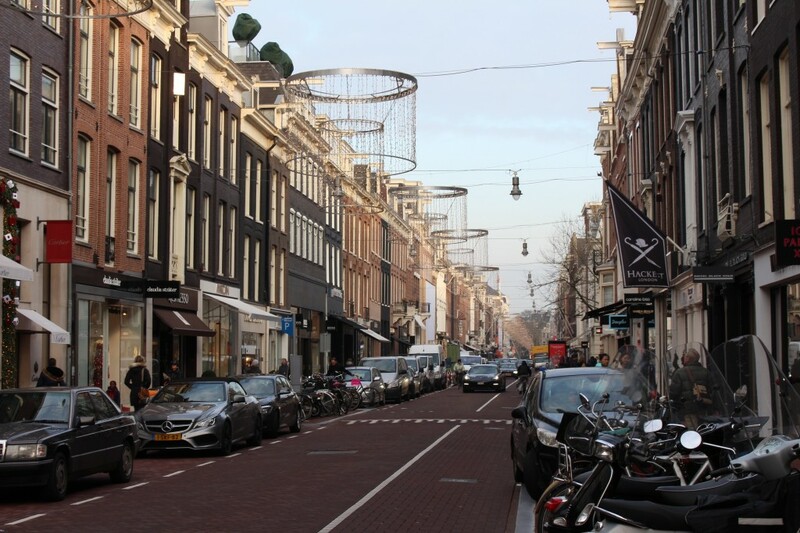 This is the street with the famous brands and where the glitz and glamorous of Amsterdam shop. 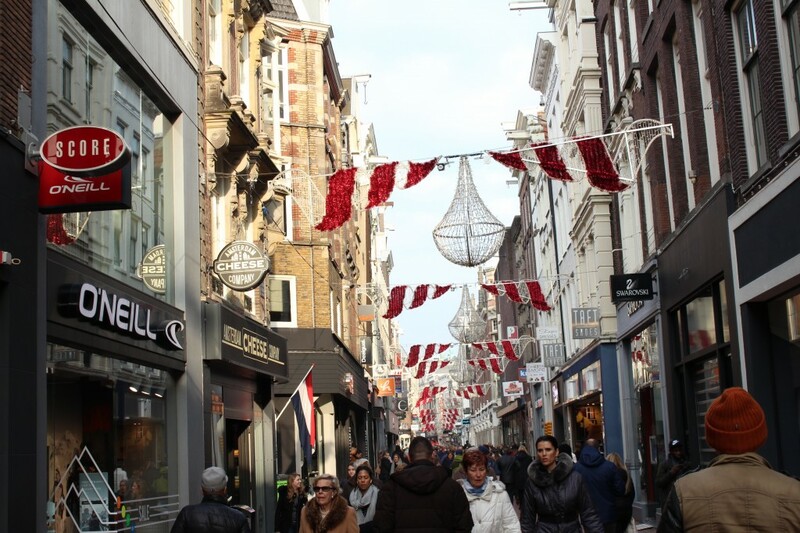 Unlike many of the shopping streets I previously walked on in Amsterdam, this one was peaceful so for anyone looking to do some more exclusive shopping- this is the place for you! Lastly I walked past the Heineken Brewery. For all beer lovers and more specifically, Heineken lovers out there, it is a must visit! The Heineken experience is well-known in Amsterdam and worth the visit. 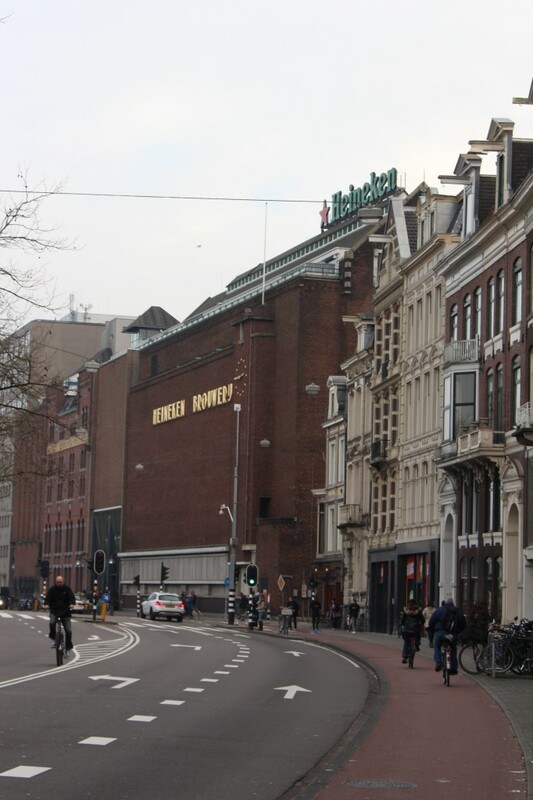 The Heineken Brewery in Amsterdam, take part in the Heineken experience! After a long day of walking around and with the sun setting quite early, I decided to call it a day although there is always so much more to see in Amsterdam! Tip: Don’t drive in Amsterdam, park somewhere central and walk the rest of take a tram if you get tired. Driving can be hectic because of all the bicycles and people walking! There are also many areas that can be accessed only by foot. Planning to visit the Netherlands soon? Book a hotel now!